“However, they failed to interest me…” and yet you chose to write to a review of… two reviews. In other words, something in both reviews was of enough interest to you to evoke a response. Perhaps the fact that they did present a real challenge, in that they pointed out something that if it “didn’t actually appear in the text,” was strongly enough implied that at least two intelligent readers read it there. In addition, I am not saying that the author intended it to be there or recognized it as being there. I would argue the very opposite. 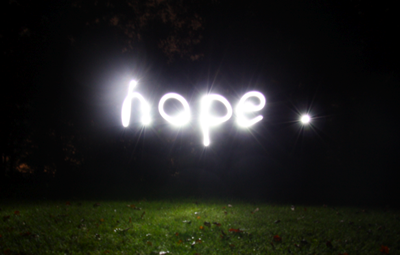 People caught in ideologies, and especially ideologies of hope, are frequently unaware of it. Especially when they have a critique of such ideologies. My point was that the author of Desert, despite his or her conscious rejection of hope and of the possibility of saving the world, still ended up talking in a way that implied “hope” on a reduced scale… i.e., that he or she in fact failed to escape what they consciously rejected, much the same way as marxists, for example, fail to escape christian teleology despite their supposed atheism. Oh come on, I don’t think the author of Desert is against hope. How could anyone be? Hope itself is not an ideology so much as a necessity, an integral part of our experience by which we will the future into being. I took Desert to be more of a temperature-taking of present trends and future prospects, a very practical weather report, like an anarchist almanac. Anyhoo, where can we ready your review, Ludd? You do good work. people can certainly be against hope. either in theory (nihilism) or in practice (presumably many suicides and mass shooters), or both. I am writing on behalf of Kaos Editions from Istanbul, Turkey. We want to translate and publish Desert in Turkish but due to license bureacracies we need a signed copyright permit by the author. Local authorities know nothing about anti-copyright notion, so we need to get in touch with the author of this book. Any help would be GREAT. Thanks a lot!